How is management committed to craft? Is the portfolio growing at a rate commensurate with the local craft growth trends? Are they selective in the craft brands they choose to distribute, or are they brand collectors? Is there a dedicated craft manager(s)? Does the distributor actively educate/train sales staff in the craft segment? Does the distributor give due attention to the craft brands in its portfolio? Do they make key account presentations in support of craft brands? Are they receptive/flexible when it comes to adding seasonal/”one-off” craft SKU’s? Have there been any craft brands that have left the distributor in the past three years? Is there a market plan with specific and measurable goals? Are they committed to spending to achieve results? Will they commit to a budget? Do they allow craft brands to present to sales meetings? Do they include craft brands in programming/incentives? Is there monthly programming – Management by Objective (MBO) or Pay For Performance (PFP)? Do they track results? Will they provide monthly reports? Do they use POS? Do they have in-house design and printing capabilities? Do they monitor competitors pricing and ads? Do they have positive rapport with retailers? Do they have dated beer in the market? Are their beers rotated correctly? Are they key chain store set captains or validators? Do they have delivery minimums? Are they committed to monthly in-store sampling programs? Do they call on all classes of trade that you need? And with sufficient frequency? Or do they “high-spot” in areas where you need deeper coverage? What level of merchandising do they provide chain accounts? Is it competitive with other local distributors? Does the distributor promote craft brands in the local market? Do they get involved in events that promote craft beer and educate consumers? Is there a craft focus on their website? Do they have a beer finder? Do they regularly e-mail craft news with key retailers? Has the distributor been a public advocate for franchise law reform? Does the distributor favor franchise law reform that allows brewers to move to another distributor for cause? Do they have refrigerated/temperature controlled storage? Do they deliver in refrigerated trucks? Do they have sufficient warehouse space, particularly refrigerated, for their existing brands and yours? Do they have sufficient trucks and drivers to cover their territory? Do they have sufficient sales reps to cover the call points in the market? Does their territory overlap with other distributors in such a way that you can obtain coverage for everywhere you need to? Or does it leave awkward gaps? Do they work ethically in the view of their supplier partners and retailers? Do they demonstrate a commitment to alignment with any values that are particularly important to your brewery (i.e., sustainability, giving back to the community, etc.)? A a list of items distributors may wish to focus on when presenting to brewers seeking a new distributor. The list may change as the committee revisits items on the list over time. Information provided by the Brewers Association. 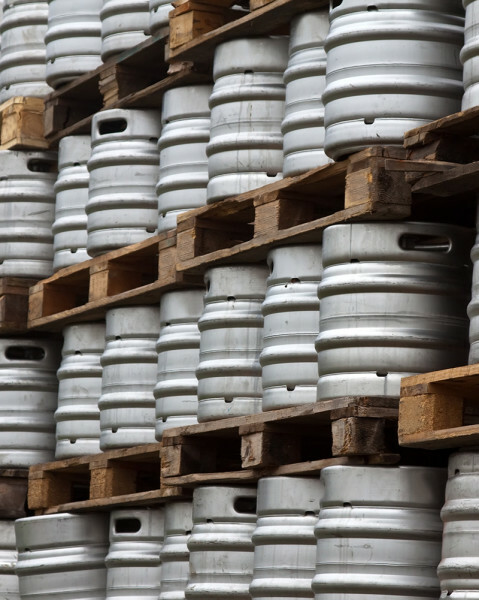 Contact G & H Financial Insurance for assistance with your brewery or distillery business insurance at 281-395-5497.